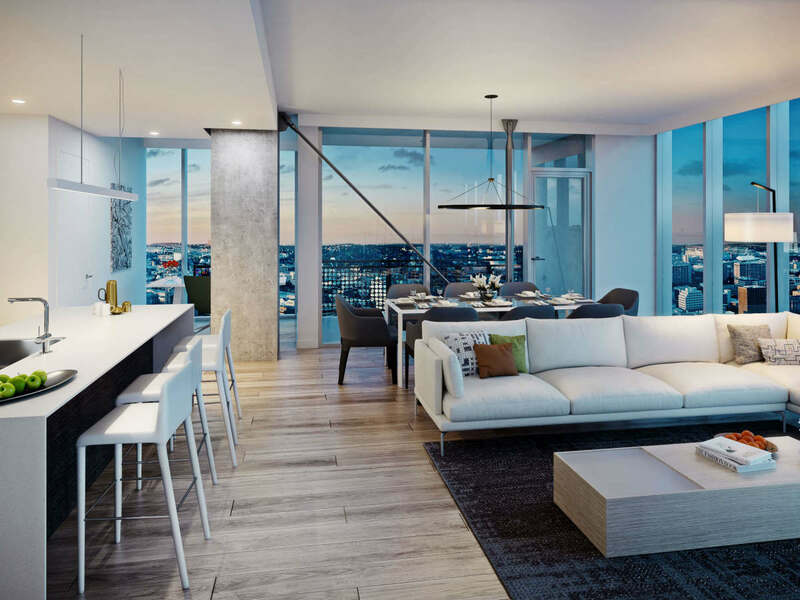 Residential units at The Independent are selling fast. 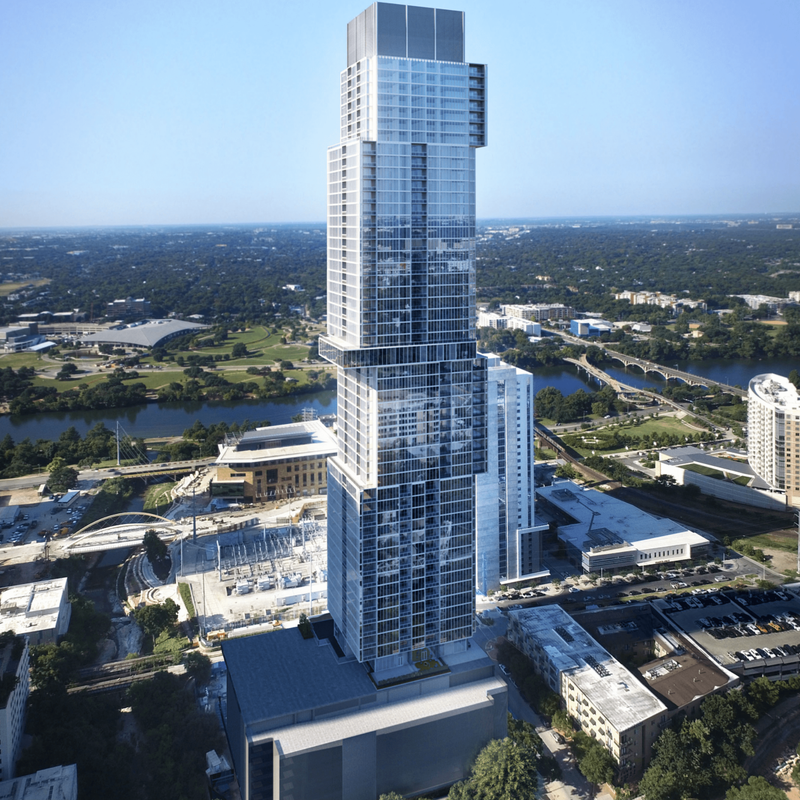 The tallest building in Austin is still two years from completion, but a batch of renderings revealed Thursday offers a taste of the luxury living that awaits. 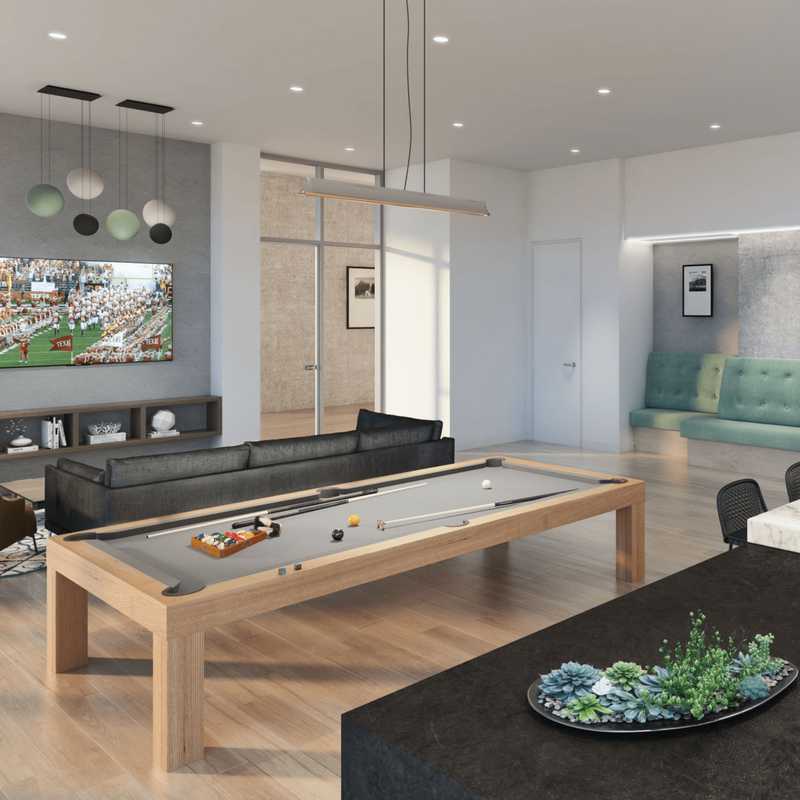 The Independent has released new renderings of the anticipated development, which broke ground earlier this year at the corner of Third Street and West Avenue. 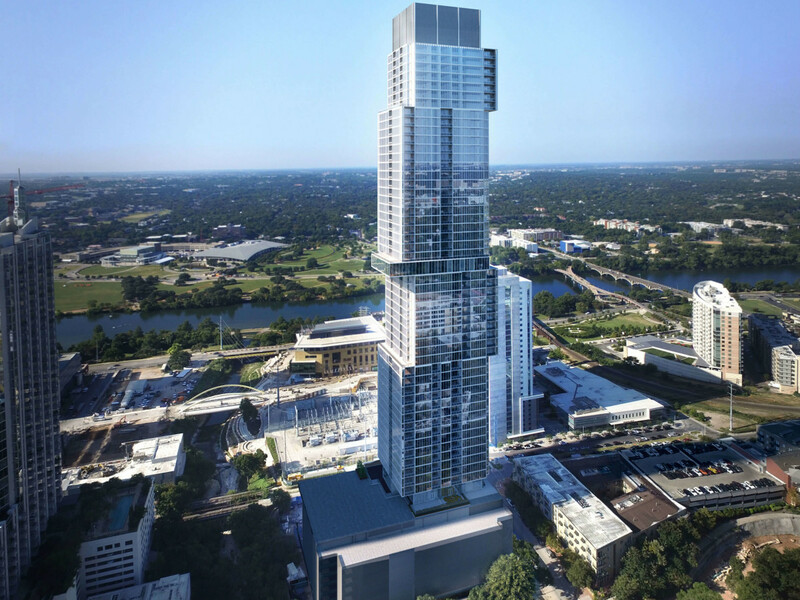 At 58 stories tall, it will be the tallest tower in Austin — and the tallest residential structure west of the Mississippi River — and now we know what to expect of the lobby, club rooms, and residential units. 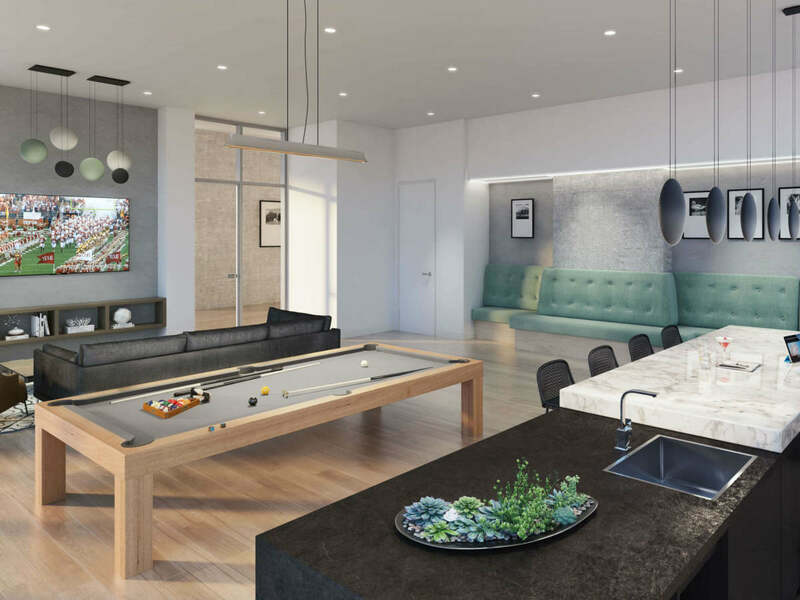 The mixed-use development will house 370 units ranging from 756-square-foot one bedrooms to four-bedroom condos, all of which boast quartz countertops, wide-plank hardwood floors, marble bathrooms, and floor-to-ceiling windows. 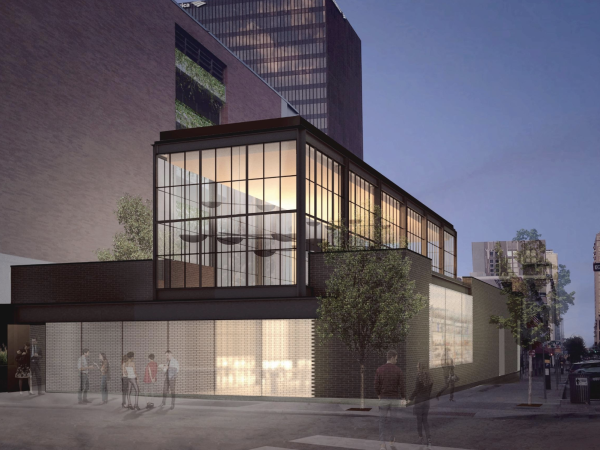 Two floors of The Independent — the ninth and 34th — will be dedicated to amenities. 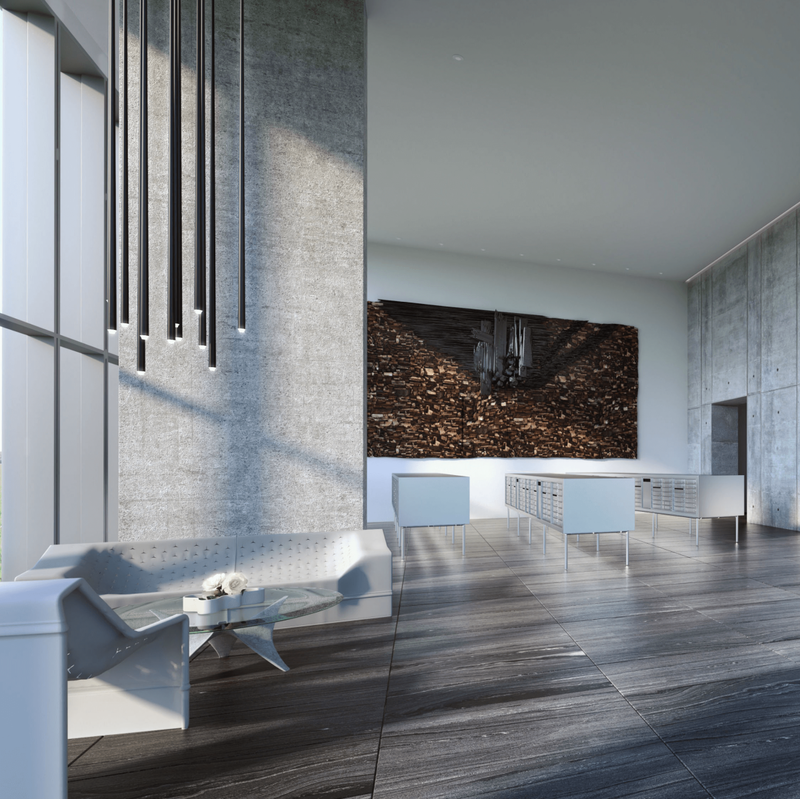 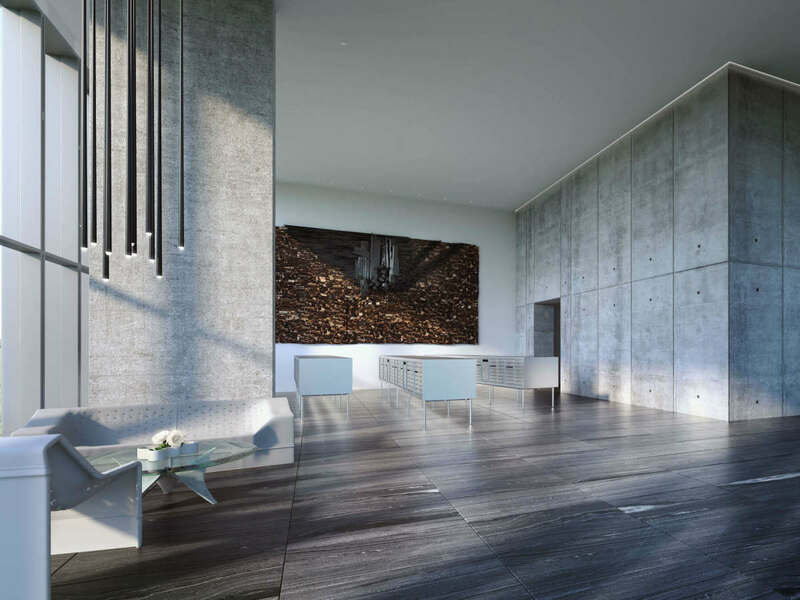 Renderings showcase the ninth floor club room and exclusive 34th floor "owner's club room." 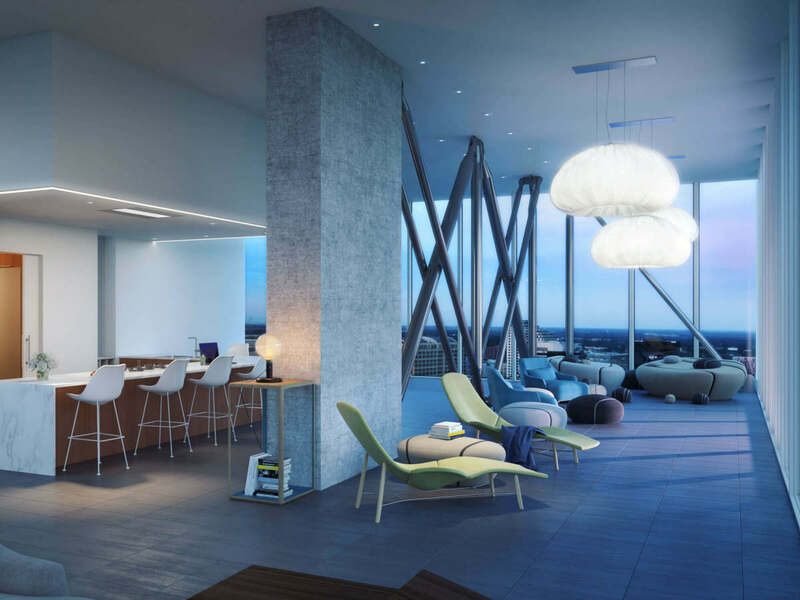 Other amenities on the ninth floor include a deck with infinity heated pool, dog lounge and park, and children's play area; the 34th floor will feature a theater, fitness center, yoga/barre studio, board room, wine bar, chef's kitchen, and private dining room. 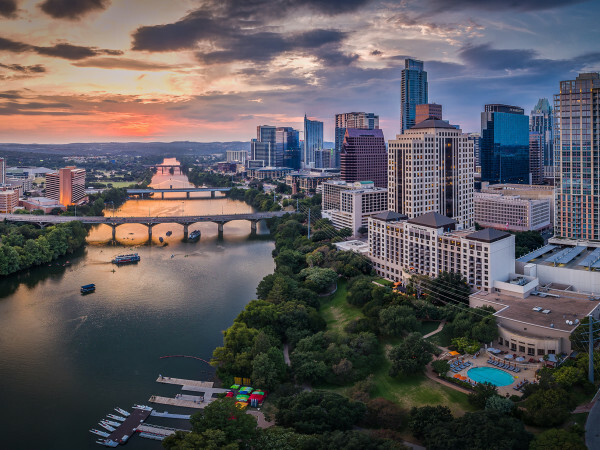 And, as one would expect from the tallest building in the city, The Independent promises breathtaking views of Austin, from Lady Bird Lake to the Capitol. 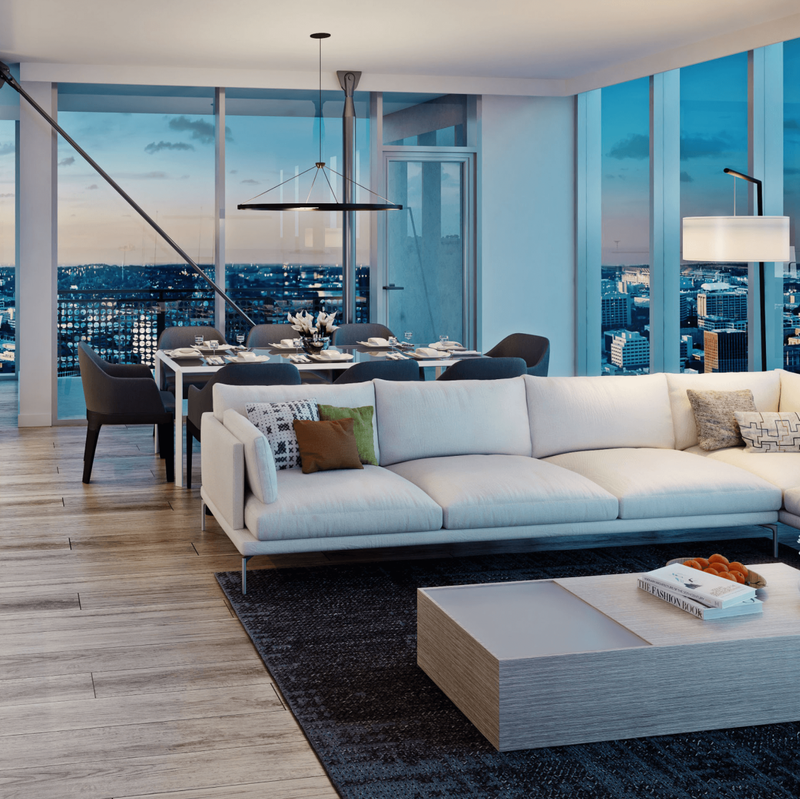 Those views come at a cost — prices range from $400,000 to over $3 million — and people are willing to pay. 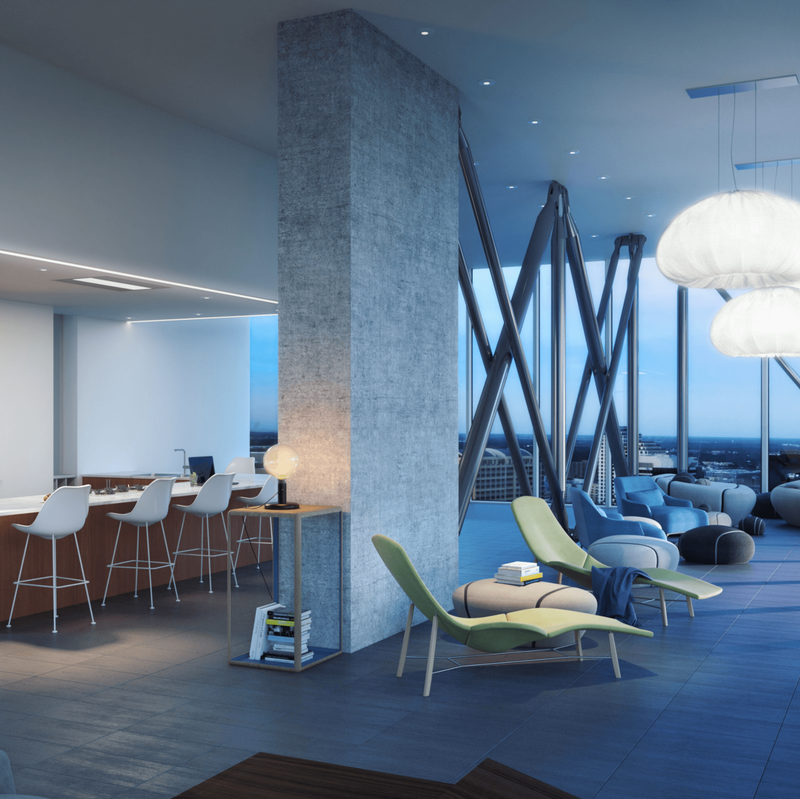 More than half of the units are under contract, and only a few one-bedroom options remain. 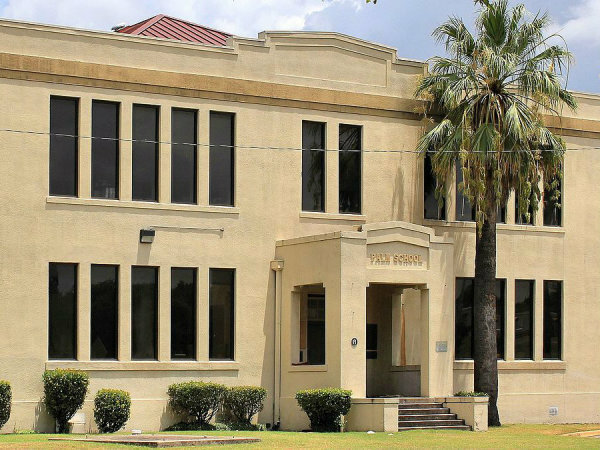 The Independent is 20 percent complete and on target for a 2018 debut.